Six years ago I would never have considered wearing a highlighter. In fact, if I am completely honest with you, six years ago I didn’t even know what a highlighter was in a make-up context, aside from the obvious fluorescent pink and yellow pens I used at university. In that time I have naturally learnt a lot more about this type of product and of course the wonders that it can achieve. To this day, however, it remains to be the product which I own the least of, that being said, I do hope to pick up one or two new ones later on in the year as I have had my eye on a couple for a while now. The most recent addition to my make-up collection is the Too Faced Love Light Highlighter* in the shade ‘Ray of Light’. These beautiful highlighters launched earlier on this spring in which there are currently three shades within the range. There is a gold toned option which I think would look gorgeous on warmer skin tones, whereas the much cooler silver shade would be utterly stunning on pale skin tones; although I definitely see the opportunity to blend shades here to create your own custom look. Ray of Light is the shade which I believe most suits my complexion as this has rose gold champagne notes which add a beautiful glow to my skin without being too strong or warm/cool against my own skin tone. The light reflects off this like no other highlighter that I have yet to experience at the time of writing this post. It is definitely the most shimmery that I have in my small collection, although, this is perhaps what makes it my most favourite. Despite the glow being something pretty darn special, I do think that this is still easily wearable for the day time. Nobody wants to be wearing over the top make-up in the workplace or when running day to day errands, however I truly believe that you can get away with this with ease. Naturally of course, it is perfect for evening wear and will look beautiful against a nice sun kissed tan. 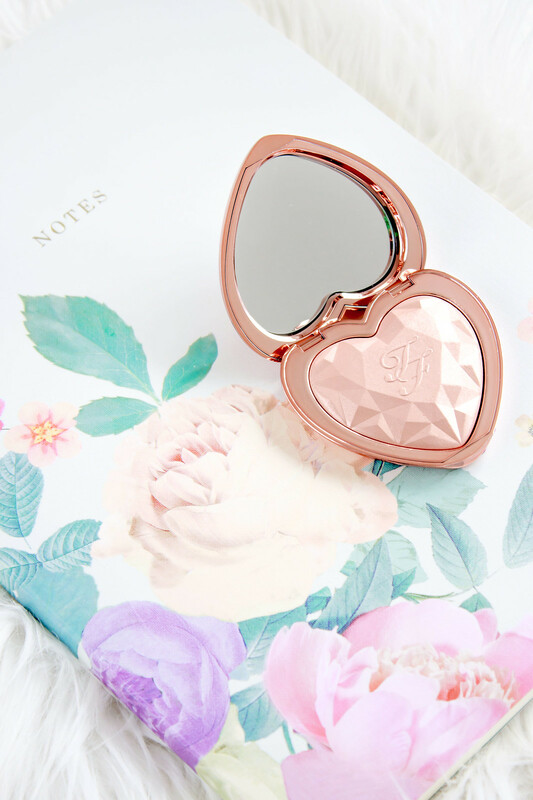 Of course, the packaging is utterly beautiful, it typically embodies the girly and chic style that I have come to know and love from Too Faced. It will look lovely on your dresser and equally as fancy pulled out of your hand bag for touch ups. 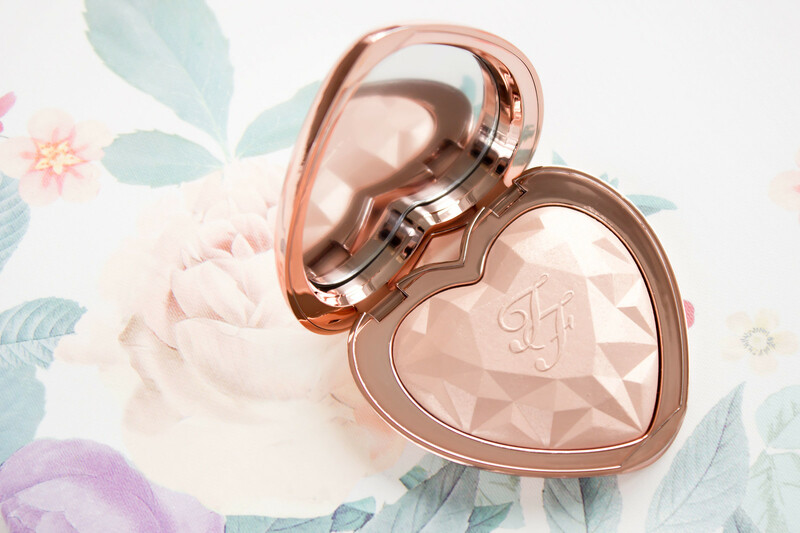 You can find the Too Faced Love Light Highlighter retailing at £25.00 at Selfridges.